There is a delicate dance that exist between protein and moisture that must be mastered in order to have and maintain healthy hair. The two components are co-dependent and neither can work well on its own without the other. The hair breakage we experience is most often the result of an imbalance between the protein and moisture elements that make up the hair strand. Water molecules bind easily to a sound protein structure within the hair. Hence, moisture is absorbed better when the hair’s protein needs are sufficiently met. Consider your hair to be a garden and the hair a plant. Moisture would be the water and protein the dirt. If for any reason there is too much or too little of water or dirt, the plant can’t grow. It’s the same synergistic relationship that moisture and protein have together, and keeping the hair balanced between the two is very important. Achieving the right balance involves using the right combination of moisture and protein on your hair. Which means you have to get acquainted with your personal hair needs. No hairdresser, family member, friend or natural hair blogger knows your hair better than you. You have to experiment with different products, methods of application, and frequency to see what works best for your hair. Over moisturized hair is usually described as very mushy, soft, weak, spongy, limp and unable to sufficiently hold curls. Our hair needs water to maintain its stretch and elasticity. All throughout the day, our hair loses moisture to the outside environment. The only form of moisture that exist is water, not oil, creams, or any other substance. Since water is the ultimate moisturizer, water-based products (products with water as the first ingredient) are best for really getting the greatest moisture benefit. Good moisturizers will not contain cheap, filler ingredients like petrolatum, mineral oil, or lanolin. Those ingredients are sealants that seal out the precious moisture our hair needs. 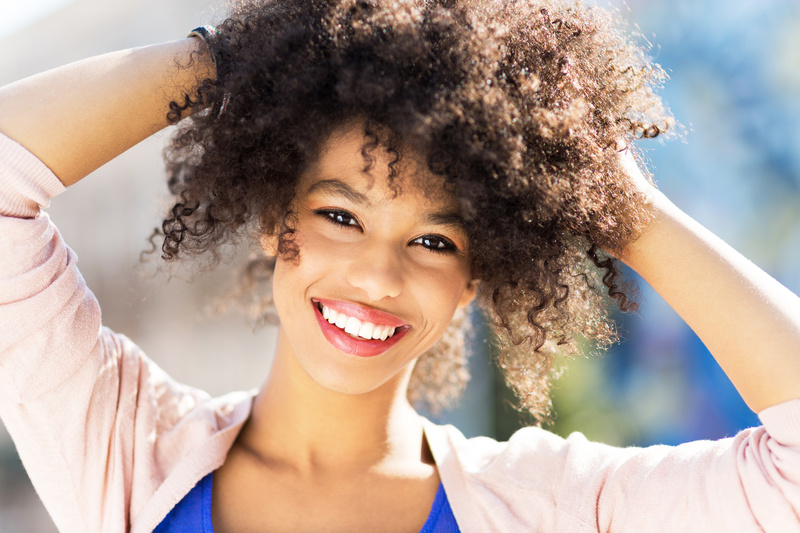 In order to keep our moisture in our hair, it’s a good idea to first make sure your hair is moisturized (damp with water) and seal in the moisture with a heavier product like a natural oil such as jojoba, olive, carrot, or coconut oil. Oils are made of molecules that are too large to be absorbed by the hair strand. Applying oil to the hair coats it and traps the moisture that is inside, inside and the moisture that is outside, outside. Hair is about 70% keratin protein. Protein adds structure and moisture elasticity, too much structure makes the hair hard and rigid and in some cases tough. Too much protein can leave your hair hard and unmanageable and tough like a brillo pad. Proteins serve different functions and roles in hair care. Some enhance elasticity, while others reduce it. These proteins bind to the hair cuticle and help temporarily rebuild any weakened areas, reinforce the hair shaft, and help it remain strong enough to fight breakage. Your hair protein tolerance will vary from product to product, not necessarily protein to protein. Protein is found most prevalently in products like conditioners, protein reconstruction conditioner treatments, and even some moisturizers. Women with relaxed or color-treated hair need more protein than others. If your hair is e relaxed or color-treated, those processes have compromised the protein structure of your hair, so you may need more protein than others. There are also some people whose hair is more protein deficient by nature (genetics, low protein dietary intake), so they require more regular protein than others to keep the balance intact. A protein imblance can be solved in one session with a mild to medium protein deep conditioner such as Aphogee 2 minute keratin constructor or ORS Hair Mayo. Heavier proteins like Aphogee Treatment for Damaged Hair would only be necessary for a serious long -term moisture breakage problem. To get a good jump start on balancing your protein and moisture levels, you need to create a good regimen. Clarify your hair with a really good stripping shampoo to remove any excess product buildup. Then, deep condition your hair under a steamer with a protein based deep conditioner. Apply a water-based moisturizer to your hair, concentrating on the ends daily. I would watch out for excess protein in common products like leave in conditioners, moisturizers, gels, and instant conditioners. Protein hides in a lot of everyday products, so avoid those for a few weeks until your moisture balance is corrected. This will give your hair a chance to even out the protein/moisture balance. Remember to experiment with different products, methods of application, and frequency to see what works best for YOUR hair. Posted on May 5, 2015, in Natural Hair and tagged hair moisture, hair protein, Hair Regimen, protein moisture balance. Bookmark the permalink. Leave a comment.